For the 2nd straight month, Melville Millionaires forward Luke Spadafora was named the SJHL's Rookie of the Month. The 18 year old who hails from Calgary, had another big month scoring 11 points (5G 6A) in their 10 games in the month of the January. 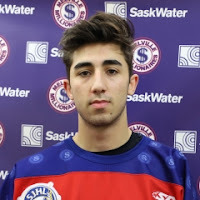 Spadafora is currently the Mils leading scorer with 13 goals, 25 assists for 38 points in 45 games which puts him in 2nd place in rookie scoring in the SJHL. **Meanwhile also Yorkton Terriers captain Brendan Mark was as runner-up for SJHL Defenceman of the Month for January.